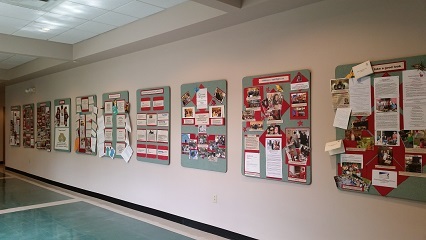 When you walk down the long hallway at BPC you see bulletin boards filled with notes and images of the people of BPC and our commitments in ministry. We are called to connect, communicate and care for each other, the community we live in, and our world. Our congregation is actively engaged in the ministries of BPC. You will meet many people who serve in more than one ministry of the church. We have choir members building water cisterns in Mexico; Sunday Study teachers sorting food at the Mid-South Food bank; and, children collecting quarters to support the work of Presbyterian Disaster Assistance around the world. From prison ministry to tutoring, collecting and sorting food monthly for families in need, to family camp and potluck meals – we are people who listen for God’s call and go in the direction God sends us. We welcome you to bring your gifts for mission and ministry to BPC and serve God with us!